A contemporary dream. 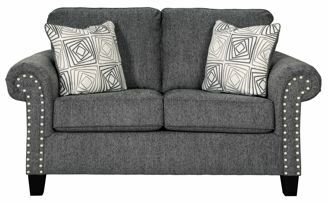 The Agleno loveseat checks off everything on your list. 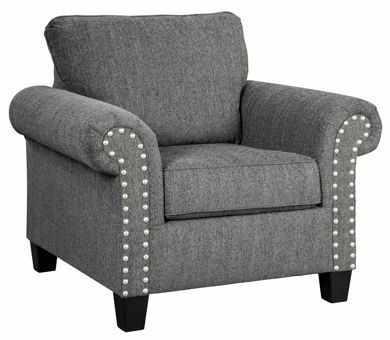 Designer profile is accentuated with roll arms and pewter-tone finished nailhead trim. Upholstered in a textured chenille, the feel is up to par with the look. Geometric throw pillows flaunt a mesmerizing pattern. 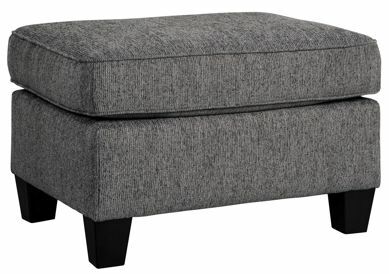 Tapered accent legs finish off top-to-bottom style.